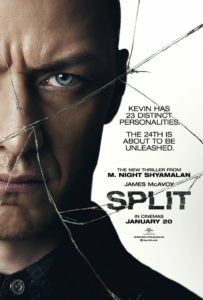 M. Knight Shaman’s latest project as writer and director is the suspense driven horror/ thriller “Split”. This movie centers on James McAvoy as “Dennis” (trust me when I tell you that it will be easier to just call him that for the purpose of this review), who is a person suffering from the controversial cognitive disorder “DID”, or “Dissociative Identity Disorder”, or what used to be called “multiple personality disorder”. As seen in the trailer, Dennis kidnaps three young women, one of which is played by Anya Taylor-Joy, who I last saw during her tremendous performance in “The Witch” from last year. Once kidnapped, the girls are in a flight for survival as Dennis is becoming increasingly unstable in preparation for the most devious personality to reveal itself. Before I go into the the review part of this article, I just want to say that M. Knight Shaman does it again …. and by “it”, I mean prove that he is better directer than he is a writer. Think of Shamalan as the Bizzaro version of George Lucas, because where as Lucas is a much better writer than a director (need I mention he directed all three of the terrible Star Wars prequels? ), Shaman is a very good director, whose writing skills are questionable. This movie is shot very well, and Shamalan’s knack for visual storytelling is very evident even when using some pretty stark back drops for a many of the scenes. For a movie, any movie, to make the choice to have an actor or actress portray someone with this particular cognitive disability is a tough ask. The first thing that comes to mind is Sally Field’s performance in “Sybil”. 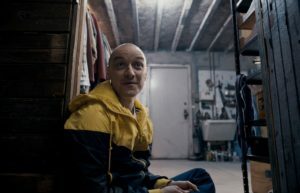 To be able to change the tone, inflection, and physical posture for multiple identities is something that I was really impressed with in McCoy’s performance, and it truly felt like he worked hard to make the identities look, feel, and act differently. Anya Taylor-Joy is one of the most compelling young actresses in recent years and has a way of looking into the camera and drawing you into her performance. 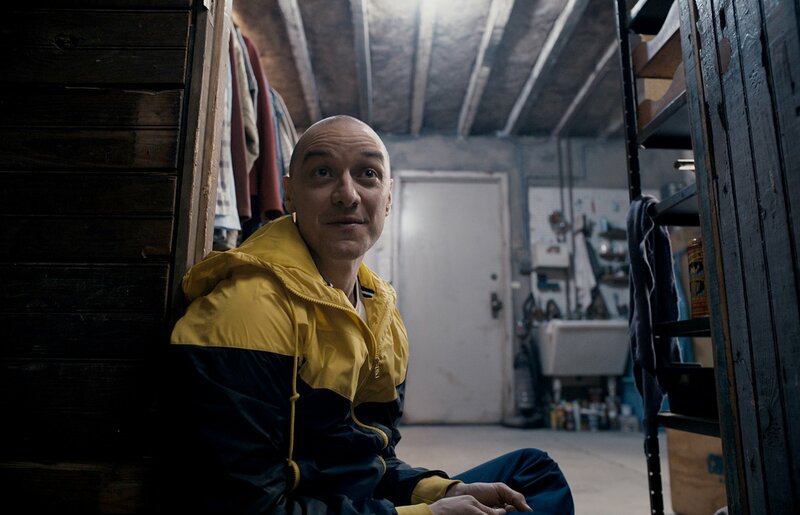 She has multiple scenes in this movie where she looks directly into the camera for sustained moments, and through her expression choices, and ability to manifest tears at any given moment provides a great counter point to McAvoy’s stoicism. That being said, to be brutally honest, there are about 30 minutes that you could cut out of this movie without missing anything. There are a whole bunch of flashbacks to a character’s past that were completely unnecessary, and did nothing to drive the plot forward. There were two characters that could have been cut from the movie entirely, as they did not really do anything during the film. “Bad”: This category is for any movie/ TV show/ Video Game/ Album, etc. that would not be the first thing you recommend to someone, but you do not regret the time you spent watching it. “Ugly”: Avoid at all costs! This special category is for those pieces of media that are so bad that you regret any and all time you spent suffering through it. You would not recommend this movie/ tv show to anyone. One of the only reasons this movie is “bad” and not “ugly” is due the amazing performances that both McAvoy and Taylor-Joy give through out the entire movie. Yes, I think that Taylor-Joy’s character makes some really dumb choices, but overall their performances were both very good.